There are very few septuagenarian record producers operating in the music industry, and there is surely only one who can claim that his biggest successes are amongst his most recent work. But having taken charge of both of the award-scooping, unit-shovelling albums by Norah Jones, Arif Mardin — five days short of his 72nd birthday when he spoke to Sound On Sound — can reasonably make that boast. Not that this self-effacing, Turkish-born veteran of hundreds of recordings over five decades, many of them modern classics, is likely to ever boast about anything. Yet Mardin admits he was slightly taken aback by how quickly Jones's Feels Like Home began flying out of the shops in the first few days of its initial release. "I emailed her," he says, "and I wrote 'Hey, this is a first in my career: over a million records in one week!'" Mardin's remarkable studio career began when he moved to New York in the late '50s and secured a job assisting Atlantic Records' chief engineer Tom Dowd. As a result, he found himself witnessing the heyday of the R&B label and working with the likes of Aretha Franklin, Ray Charles and Dusty Springfield on some of their most famous recordings. By the early '70s, he'd branched out as a producer in his own right, overseeing key releases by the likes of the Bee Gees, the Average White Band, Chaka Khan, Diana Ross and Barbra Streisand. Nevertheless, despite his first-hand experience of the developments in recording technology over the years, Mardin claims to be anything but an equipment-head. "So this is more of a technical interview?" he wonders, a slight touch of trepidation in his voice. "The only problem is if you ask me about 'Which blah blah do you use for this?' I can only tell you it's the blue one or the red one. I know what they can do, but I don't really follow every technical magazine." That's very encouraging to hear from someone who's won 11 Grammies... "Yeah, but it's true. It's like, Give me that blue box!" 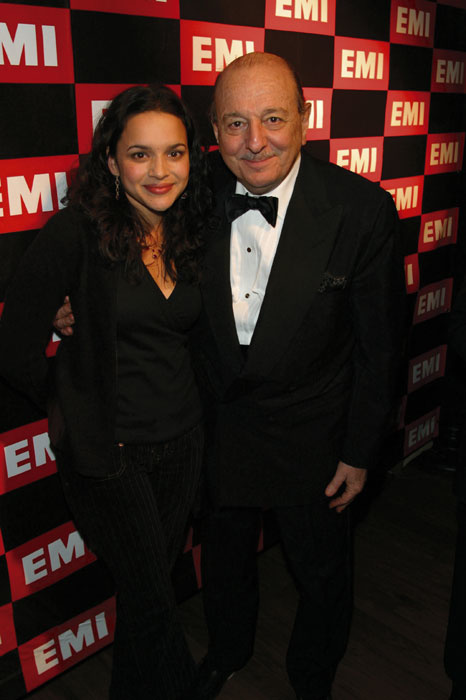 In 2000, when Mardin was first approached by Norah Jones's label Blue Note to work on the sessions for what would become her 14-million-selling debut album, Come Away With Me, the record had already been made once with another producer, Craig Street, though neither the label bosses nor Jones herself were particularly enamoured with the results. "It was more of a folky, guitar-orientated approach," Mardin explains. "Both Norah and the Blue Note people thought that it should actually go back and capture the original piano-flavoured demos. So the band knew the tunes and we went in and I produced about 80 percent of the album. It was actually very quick — I think we did it in less than a week." In the wake of the first album's success, it's reasonable to assume that the sessions for what would become Feels Like Home began with a mood of high expectation. Not so, says the producer. 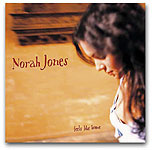 When in April 2003 Jones and her band assembled in the rural retreat of Allaire Studios in Woodstock for a week of recording, the atmosphere was apparently, like the music, remarkably laid-back. "That was a very pleasant week," Mardin recalls. "The view was beautiful, the air was clean and after the sessions, I used to be their barman, mixing up martinis. We cut quite a number of songs and most of them, maybe about eight of them, made the album." While the surroundings were certainly convivial, the producer admits that there were some acoustic challenges to tackle before any music could be committed to tape. "Even though it was a marvellous place to be in," he explains, "their main room, the ceilings were very high. We had to use isolation and put Norah under something almost like a tent so that her voice wouldn't hit the ceiling and come down and reverberate. There are two studios — one is the big one where the ceiling is very high. But in late November, early December, we went there again with Levon Helm and Garth Hudson [formerly of the Band] and we were in the smaller room because it was a nicer drum sound, nicer vocal sound. But the desk was in the middle of the room, there was no control room. So the engineer Jay Newland and myself would put earphones on to monitor the sounds. But we had to make sure we didn't drop a cup of coffee on the floor or something!" 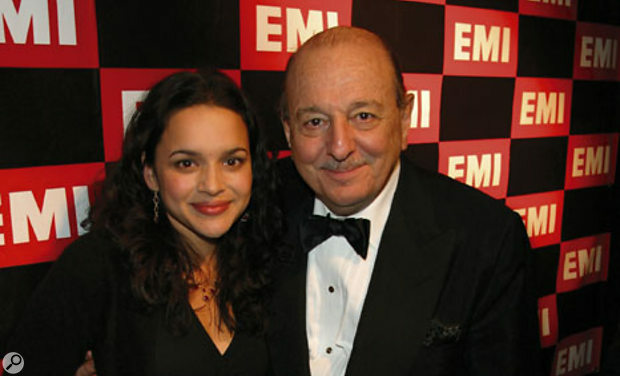 Arif Mardin puts Norah Jones (back, third from left) and her band through their paces. Norah Jones's only request when it comes to recording is that tracking is done to analogue two-inch, in this instance using a Studer A827 with Dolby SR in conjunction with an SSL 9000J desk. "We eventually go to Pro Tools," says Mardin. "but only after we've done all the session in analogue. I obey the artist's wishes and she wanted that. If you ask me, I'm all for using the latest technology. I'm not a those-were-the-good-old-days person. The only thing is, if I'm using the newest technology, the sound has to be sweet. There were a lot of new technologies in the '80s and '90s, digital tape recorders and things like that, and the sound was terrible because the converters weren't good. "Back when I was working with the Bee Gees in Miami, we had the first Mitsubishi digital 32-track and it was very, very brittle. Lately I've been working with the 96kHz Pro Tools and I like the sound very much. But I don't use Pro Tools to go in and get into syllables and tune everything up. That's not my style. I use it as a tape recorder." As someone who's worked with analogue for so many years, Mardin still enjoys the benefits of recording to tape, but admits that it sometimes involves patience and perseverance. "With analogue you have that certain sound, of course. But sometimes there are problems. Last year I worked with an artist and she wanted to be recorded on analogue multitrack. But first of all we had a bad batch of tape, then I'd totally forgotten that you can't record heavy stuff on track 23 because it interferes with the SMPTE on 24, and then you have this crosstalk of the bass drum going through other tracks. I said 'We must've been in analogue hell in the '70s!' 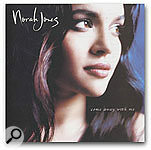 Don't forget, with Norah's albums, we're talking about studios where maintenance is fantastic. But usually these machines are 30 years old. So that's another factor that, yes, they were great then. But now, you've got to find a good machine, so it still plays well." After more than 40 years in the business, Arif Mardin has seen the inside of a lot of studios. So what does he look for in a recording venue? "It depends on what kind of recording it is. If I'm going to record a 40-piece orchestra, say, 25 strings and woodwinds and this and that, it has to be a sound stage, like the Sony one in LA where The Wizard Of Oz was recorded. That studio is still intact. I did some Barbra Streisand there about four years ago. And of course in New York we have Right Track, a brand-new big facility for film recording. Or there's the Hit Factory, which is well equipped and maintained and is a great orchestral studio. "Then of course, if it's a small group I'm recording, the room must be intimate and there must be at least three iso booths so I can put the guitarist and the piano separately and so on. It all also depends on how the engineer wants it, but I like to have iso booths. I don't give much consideration to what the desk is. The way I work is, What do we have here? SSL. What do we have here? Neve. Fine. I don't even worry about it." Following the Allaire sessions for Feels Like Home, Jones and her band returned to the road and, as a result of playing the new songs live, developed the material further, particularly when it came to fixing tempos. 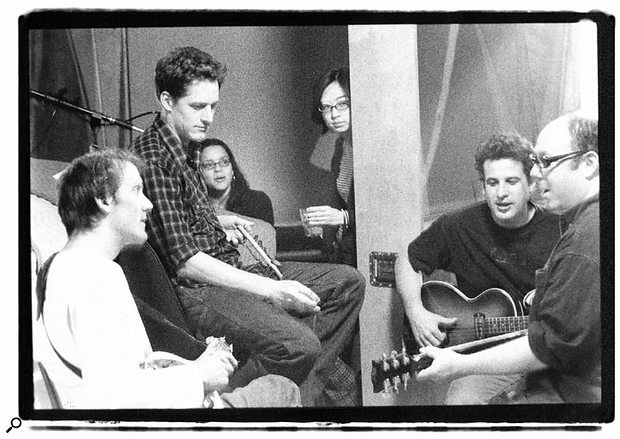 Recording recommenced in November 2003 at Avatar Studios in New York, formerly the Power Station. "But we weren't in the main room," Mardin points out, "we were upstairs in the smaller room and it was so cosy and excellent. We recorded there for about a week, then we moved onto Sear Sound, where we'd worked during the making of the first album. Sear Sound is owned by Walter Sear and he loves vintage equipment, old Telefunkens and whatever. So we did some tracks and then mixed the whole album there." Of course one of the consistent features of Jones's records — indeed most of the records on Mardin's CV — is the live, soulful feel to the performances. "Oh yeah, they're mostly live," the producer insists. "If there was any blatant mistake, like a wrong note or something, we would correct that. But it's definitely live. That's why with Norah I really feel like I'm at Atlantic Studios in the late '60s. This had that same feeling: very organic, with musicians listening to each other and playing together, which is very rare nowadays. I'm a jazz fan, so I'm for smooth grooves." In terms of mics, Mardin doesn't list any particular favourites. "I rely really on the engineer. Also, mics are like bottles of wine. We had one Telefunken here in New York that we used on the first album and Norah loved it, so we ordered the same in Allaire and it didn't sound the same. So she ended up buying the one that she liked. They're like bottles of wine — one is good, one is... I wouldn't say bad, but different." The mixing of Feels Like Home was completed in a two-week period at Sear Sound in December 2003 and Mardin remembers it as a relatively painless experience. He's keen to point out, however, that unlike some other top-line producers, he still maintains a very hands-on approach to the process. "I'm not a record producer who goes home, saying 'Send me three versions and let me choose one.' I'm there all the time. Working with Jay Newland made it very easy because he's really great. We were probably mixing three songs every two days. Totally analogue, but we were also going to eight Pro Tools stems, so the analogue quality is preserved 100 percent. We'll have the vocal with its reverb as a stereo, a drum stereo with the bass, guitars on another stereo and the keyboards on another. If we say 'Well, we need a little bit more vocal,' or something, then the stems are there and they can be also used for 5.1 mixes in the future." Interestingly, Mardin says that his mixing technique is still very much informed by his time back at Atlantic in the '50s and '60s. "Tom Dowd used to say 'Voice and bass, make 'em zero. Then the kick maybe half a dB softer and the rest just sprinkled around.' That's why when Ahmet Ertegun [head of Atlantic] heard Tommy's work when he was 16 years old, he said 'This young boy has the correct bass and drum level to my liking, hire him!' That was the R&B sound." As an engineer in his Atlantic days, Mardin found himself working with equipment that was remarkably advanced for the time. In 1958, the studio took delivery of what he remembers as being the first Ampex eight-track machine, 10 whole years before even the Beatles were able to take the leap up to the format. "It was one-inch tape and the machine was like a skyscraper. Most producers at that time wouldn't even want to hear about multitrack. So Tommy would go in and do it the old-fashioned way — record whatever was happening onto a mono tape with the correct reverb, correct EQs, mix the master live. But he would also record everything to the eight-track simultaneously. So when stereo started to happen, Tommy didn't have to do fake stereos, he went back to those eight-tracks and made real stereos. "But we used it for multitracking too. I remember in '58 or '59, when we were doing 'I Believe To My Soul' with Ray Charles, he didn't like the girls singing harmony and Tommy said 'I have the means — you can do four parts.' So the eight-track was an incredible thing. But as I say, it wasn't used for mixing until later. It was when Tom and I worked with the Young Rascals that we used the eight-track as it's supposed to be used — record first, then mix later." Mardin is keen to point out that as a young engineer, he wasn't afraid to take an editing blade to a two-inch master. For Aretha Franklin's gospel take on 'You'll Never Walk Alone', he recalls having to go to some lengths to mask a splice in the live church recording. "She didn't like one part of the song, so she came to the studio and played it and sang and said 'Make your edit there.' I said 'How are we gonna make an edit into the live church sound?' So I assembled a lot of people and they would talk and hum and clap and everything to create that atmosphere. Then I took a room murmur of the church and made a long loop of it. On the splice, I put a cymbal and things like that and it worked out fine." Out of all the sessions he did with Franklin, Mardin singles out the recording of 'Respect' as a particular high point. "I was assisting Jerry Wexler, who was the main producer, and the atmosphere in the studio at Atlantic on 60th Street was electric. It was like making a soup. You know, the guitar player plays a lick and we all say 'Keep that, but do this.' Aretha would go next door and rehearse the background parts with her sisters. I would write down chord changes and be the liaison between the control room and the musicians. It was incredible." When pushed, the ever-modest Arif Mardin admits to having been partly responsible for creating the layered falsetto vocal sound that helped to revitalise the Bee Gees' career. "I didn't say 'Hey, sing falsetto, I'd like to invent this sound for you,'" he insists. "But there was a melody in one of the songs — it might have been 'Jive Talkin' — and I said 'Can you take it up an octave, please?' And Barry said 'If I take it up an octave and shout like an opera singer, I'll sound like a fool. Let me sing it in a soft voice.' So he sang it in that voice and the brothers and everyone were saying 'That's great, that's great, keep that.' So that's how it came about. But I didn't say, I want you to sing falsetto here. I just said 'Kick it up an octave.'" 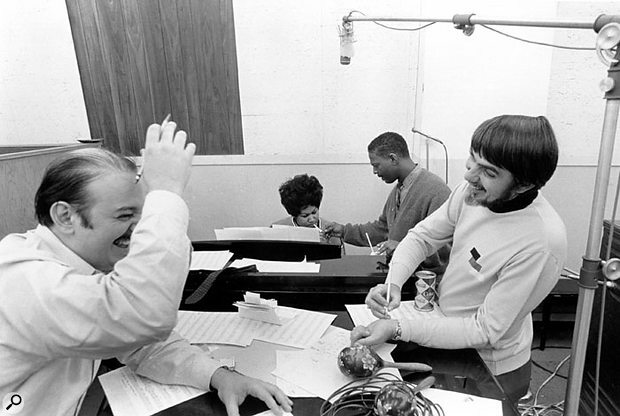 The producer recalls the atmosphere at American Studios in Memphis during the sessions for Dusty Springfield's 1969 classic Dusty In Memphis as being similarly charged, even if it was for very different reasons. "Dusty Springfield was very intimidated because she was saying 'Hey, I'm singing in the same vocal booth that Wilson Pickett sang in.' She would get the key and sing a little bit, but refuse to sing final vocals. So we got the grooves there and in New York she finished her vocals. And after the vocals, we did the strings and horns. "The only thing I remember about American Studios was that it was small. I did many, many recordings there — the drummer would be the same drummer, Gene Christman, so the drum sound would be there, you didn't have to spend hours on it. It was one mic on the kick, one overhead, one near the snare, that's it. The microphones were always in place and everything. It was four tracks and anything that you could equalise together was put on the same track — drums and organ, fine, bass and tambourine, fine, but bass and guitar, a little difficult if you make a mistake in the balance and you want to enhance the guitar. We'd divide the instruments over two tracks and leave one for the vocalist and one for strings or horns or background vocals or whatever." Ever modest, it seems, Mardin doesn't credit his contribution to these records as having been important to their success. "You know, I was blessed to have worked with incredible artists. Sound is not that important if you work with Donny Hathaway or the Bee Gees. They're just incredible singers and they inspire you. With the Bee Gees, when we were doing the Main Cours e album in the mid-'70s, there was a total stream of creativity in the studio, everybody excited. But we were using state-of-the-art machinery then. We had the ARP 2600 synthesizer — mono, but we created so much modern stuff at that time." Mardin also looks back on some of the proto-MIDI equipment that he used back in the '80s with real horror. "Well I don't know if you remember, but there used to be a lot of MIDI delay in the '80s. There was a device called the Russian Dragon and we used to call it Rush And Drag. You would measure the delay on tape and mark it with a grease pencil. For example, if the kick drum was behind the bass 30 milliseconds or something, you'd adjust that to bring them together. That was the kind of horrible things we had to do. It took hours." 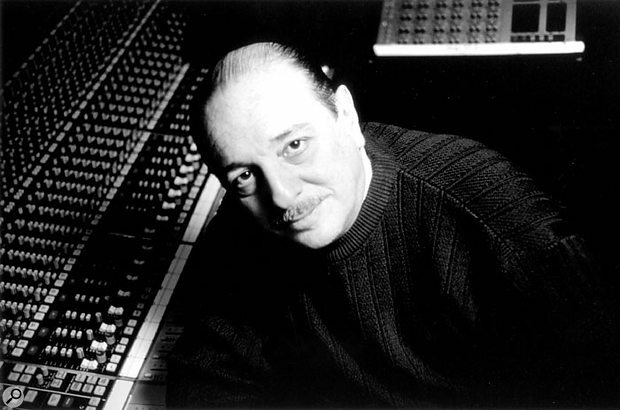 Even into his 50s, Arif Mardin was renowned for being a producer who moved with the times, and his studio treatment of Chaka Khan's 'I Feel For You' in 1984 inadvertently created one of the most memorable production hooks ever. "Hip-hop had started and it was incredible. We recorded that in New York and LA and it was a trial-and-error situation. I would put a bass line in and it'd be 'Take the guitar out,' and so on. Finally, when it came about, we were amazed at what had happened. But of course, accidents occur. With Reggie Griffin, who was the producer of Grandmaster Flash's 'The Message', I said to him 'I'd like to have a love rap, very short, no hip-hop boasting about my gold chain, I just want a Chaka-I-love-you thing.' So with that instruction, he came back with Melle Mel's rap. In those days we had an AMS sampler, so we put Chaka's name in and my hand slipped on the key. So that's how that Chaka-Chaka-Chaka thing happened. Believe me, it was an accident!" Although he appreciates the sonic virtues of some analogue gear, these days Arif Mardin is very much a digitally-minded record producer. "Well, I can tell you one thing that's great if you're totally in the digital domain. Working on a [Neve] Capricorn a few years ago on a Barbra Streisand project, she was in LA and we were in New York and we would mix the song, play it to her over the fibre-optic telephone line, she would critique it, we'd do the changes, and then she would say 'Oh, what about yesterday's mix?' If it wasn't a Capricorn, the assistant would have to set the mix up, look at his notes, set the EQs and everything. With the Capricorn you press one button and everything is recalled. So with Barbra Streisand, who's known to be very particular, we mixed five songs in seven days. Would you believe that? She was very happy. So in that domain, it was important that we worked on a digital desk. "However, for example when I record analogue and you capture it with Pro Tools, I'm working at 96k, so I don't want to go to a digital board where my sound might be downgraded. So when I work with Pro Tools we go to an analogue board. I did Diane Reeves last year and we used a 192kHz sampling rate — y'know, maybe for a future SACD or things like that — but even so, the CD sounded fantastic, there was something of the 192 in the sound. The silkiness was there. Maybe it's psychological, I don't know." Norah Jones's debut Come Away With Me is the biggest-selling album in Blue Note's history, and her follow-up Feels Like Home sold over one million copies in its first week of release. One development in vocal production that Mardin says he only ever uses carefully and sparingly is Auto-Tune. "Sometimes I use tuning if the artist is out of town or whatever — you know, logistical stuff. But I work with artists who can sing, and if a vocal track is perfected by tuning a few notes here and there — a few, I'm saying — I don't mind it because the artist, he or she will take that vocal and sing it live better than the recording. That becomes a blueprint for the artist to sing live. But of course they shall remain nameless. There are so many handsome or beautiful young artists who cannot sing and the vocal is concocted in the studio and they don't even sing live, because they can't. My criteria is if the artist can sing live, then in the studio, I don't mind correcting a few notes." Most importantly, the producer acknowledges that using Pro Tools has made his job a lot easier, particularly when it comes to creating orchestrated arrangements based around one singer. "I did Jewel's Christmas record four or five years ago and we prepared synthesizer tracks of the rhythm section and the orchestra. I'd first do a piano/voice rehearsal with her and a piano player in LA, put the voice on one track, the piano on another track, and then my son Joe would write an arrangement. The arrangement contains that vocal that she did, but we squeeze it, time-compress it, whatever, according to the final tempo. But it's there to inspire us. "Then we'd go to LA with that Pro Tools drive and she may say 'Y'know, I'd like to add eight bars,' and it's like 'No problem.' So then the arrangement is finalised and we're ready for the orchestra. Jewel was touring all the time and we were on the phone saying 'Ask your piano player to give you a key on "Silent Night".' So we get it, I do a little mock-up using a session singer to do a guide vocal, send it to her, she likes it. Then Jewel came in July in the heat of 95 degrees and finished the vocals. We had to decorate the vocal booth with Christmas decorations! "It's interesting right now because Joe and I are co-producing Queen Latifah and it's a very intricate musical situation, big-band jazz standards, wonderful stuff, wonderful singing. So it's the same thing — we have five new songs, fly to LA, we hone the synth-based arrangement, she does a beautiful vocal line and now we're ready to go. Also, it's less expensive because can you imagine if you've got 40 people in the studio and the artist says 'Can you cut this out? ', it's a nightmare and a lot of money. There Pro Tools is so important. You wanna add eight bars? Repeat something? Do it. The flick of a button." At 72, you'd imagine that the pressures of Arif Mardin's bi-coastal recording career might be beginning to take their toll upon him. But then, hearing just how enthusiastic he is about his current projects, there seems to be little evidence that the producer is thinking about taking life a little easier. "I am slowing down a little bit," he laughs. "My wife doesn't believe it though!"